I doubted it. The story didn’t make much sense and it sounded too much like an urban legend to be plausible. Great article – thanks for this more in-depth information on this bit of news. I am blogging about the IKEA revamp from an interior design/books as design element perspective tomorrow and would like to use your information and will link back to you. 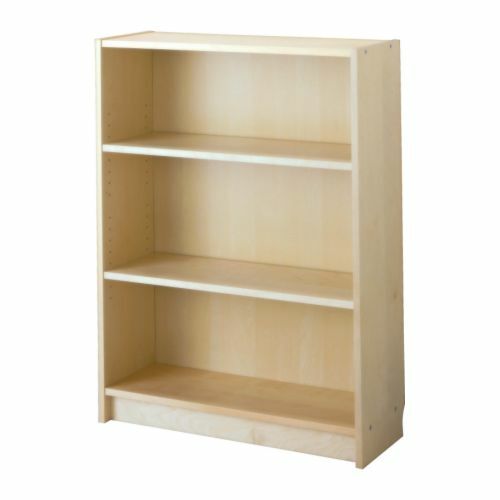 Apparently it was Ikea’s intention all along, of discontinuing the 11inch depth Billy Bookcase. At least in the US. We went to our local store to buy a regular bookcase and the DVD/cd case, both with height extensions. They had everything in stock except regular 11in bookcase. No one bothered to tell us at the store that the 11inch billy has been discontinued. In addition, the new 15inch depth bookcase doesn’t have a height extension. It’s now been 90 days and we just found out that “out of range” means discontinued. So now we’re out of luck. In top of it, I’ve been trying to reach Ikea customer service for days and no one picks up, and no way to call the local store (2 hours away in Cincy). I will never shop Ikea again.